Attend a special outdoor reading of Dr. Seuss books. Few things excite young minds like the nonsensical stories of Dr. Seuss. Use Dr. Seuss–themed activities to teach new words, count, play games and help children spend more time outdoors. 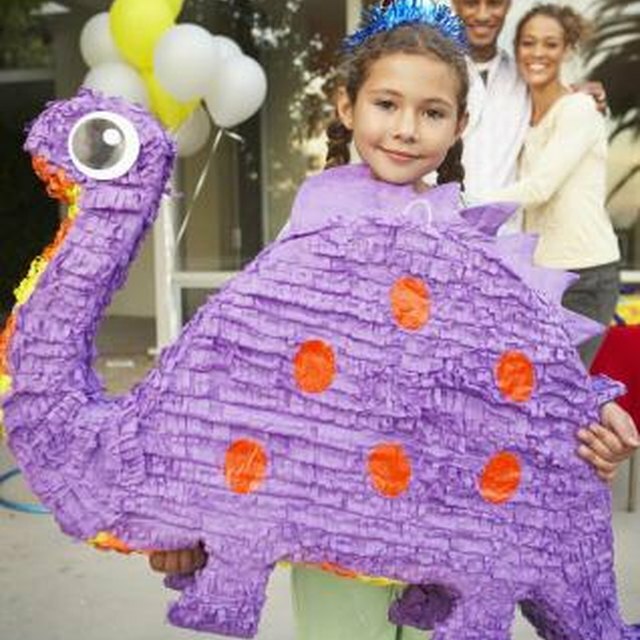 School lesson plans, birthday parties and family play time can all incorporate these activities. "The Foot Book" details all the different types of feet. Ask children to remove their shoes and hide them around the backyard. Let children race to find their shoes in an egg-hunt-style contest. Whoever finds both of her own shoes first wins. Trace feet with chalk on a sidewalk. Compare large and small feet, or try to match the feet drawings to the person. "The Lorax" is an environmental lesson hidden in a children's book. The Lorax appears in a land of Truffula Trees to speak for them, as they cannot speak for themselves. He warns the Once-ler to stop cutting down the special trees. The Once-ler ignores the Lorax, and the land soon dies. This story provides an ideal way to teach children about the importance of nature and how trees help our planet. Read the book outside, then take a walk and locate different species of trees. Take a crayon rubbing of the bark on paper to create a tree rubbing. Collect fallen leaves. Plant a tree. Horton, a sweet elephant, is walking in the forest when he hears a voice coming from a speck of dust on a flower, which is actually a small world filled with Whos. Hide plastic eggs or plastic roses with hinged openings in the bushes or trees. Fill the items with candies, quotes from the book or inspirational sayings. Let children hunt for the items and celebrate with their prizes. "Hop on Pop" is a rhyming book for younger generations. Create a rhyming hopscotch game using rhyming words from the book. Draw large squares on the sidewalk with chalk. Fill the squares with rhyming words. Children can throw a rock or beanbag onto one of the squares and jump on each square except the one with the rock, reciting each word as they jump. "One Fish ... " is a color and counting book for children of all ages. If available, visit a park with a pond or clear lake with koi or other colorful fish. Take turns counting the fish and naming colors. Observe the fish to determine whether the pond has more of one color than another. Give the fish silly "Seussical" names.